Please don’t forget to read Promotional terms closely because it may change. Also, not all games contribute to wagering requirements and not all banking options are acceptable on bonuses. Moreover, there are other interesting promos for you, for example you can win a safari tour for collecting Casimba points – now, how cool is that? Every month you have a chance to win as soon as you reach 1000 points. We recommend keeping an eye on the promos page from time to time to not miss out on something extra. There 49 (!) 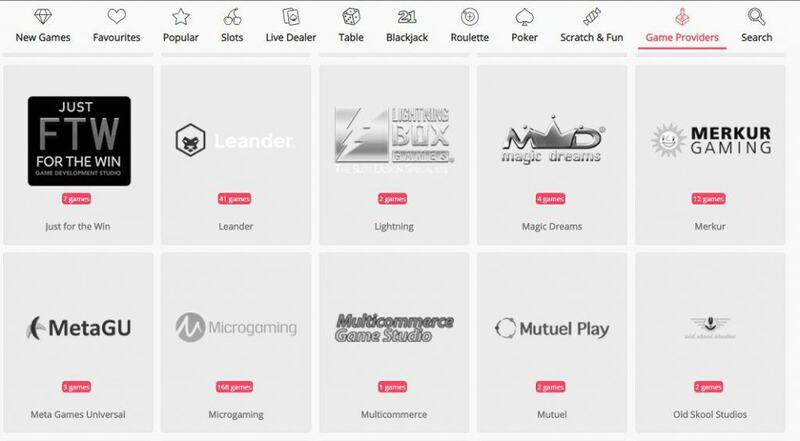 gaming providers you can choose from at Casimba – most games are from Blueprint Games, Leander, Microgaming, Red Tiger, Play’n Go and it is more that 600 games there. The range of games includes slots (by the way, for those who prefer to withdraw to the bigger winnings – progressive jackpots are on fire here), live dealer games, table games, blackjack, roulette, poker and a scratch game. If you are not ready to play for real cash, you can play some games “for fun” using demo mode. If you are the one who plays on your mobile or tablet, your gaming experience should be of the same high quality as long as you have a decent internet connection. 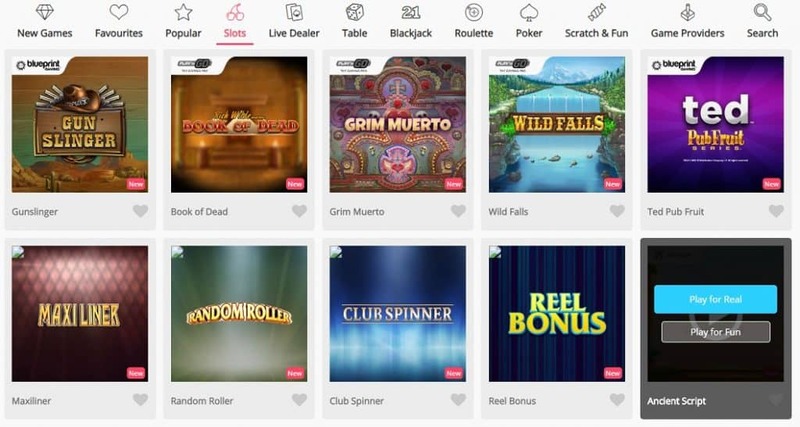 The entire game range is rarely linked to the mobile platform of the casino, but here you still have a wide range of about 300 game titles in the mobile. 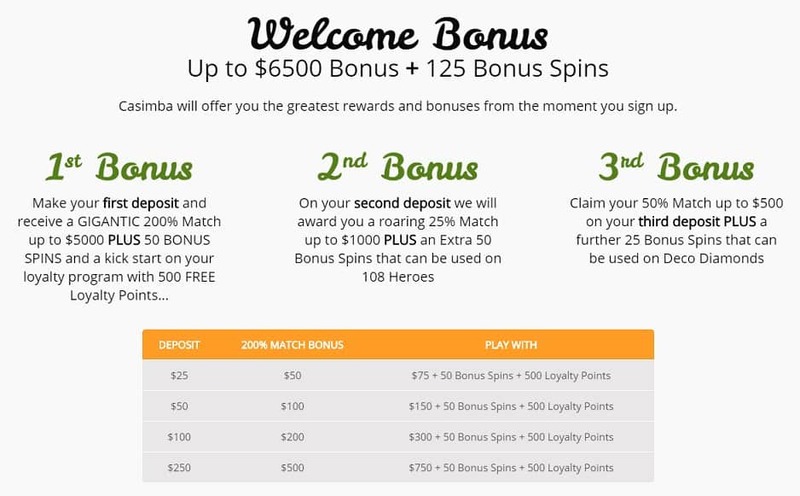 Casimba casino has its own loyalty program which lets you earn your loyalty points at your first deposit already. Depending on how much you deposit and what games you play, you earn different amount of points. If you consider yourself as a big player then you can go to VIP membership. It will open doors for you to private events, exclusive promotions and tournaments with most exciting prizes, unique cashback offers, individual 24/7 manager and other VIP-only stuff. Another safe thing to know about casino is that the support can be contacted around the clock here. The knowledgeable support agents are available via both live chat (that you can find on the button on the right-hand side of the website) and by e-mail. If you are also a VIP member, you will always be prioritized during the day and night, regardless of what your case may be. At Casimba you can use all the usual payment methods for both deposits and withdrawals. Visa and MasterCard are available as credit card payment options. Skrill and Neteller are both popular and effective e-wallets. Paysafe and Interac are also available as well as direct bank transfer for anyone who wants to use a more traditional payment method.